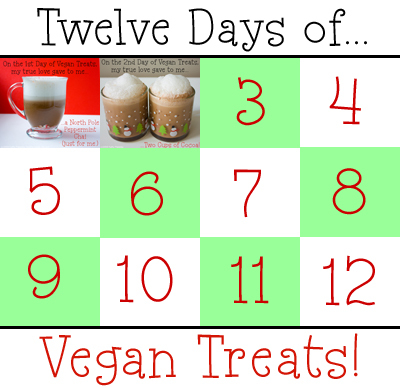 Two Cups of Cocoa: 2nd Day of Vegan Treats. 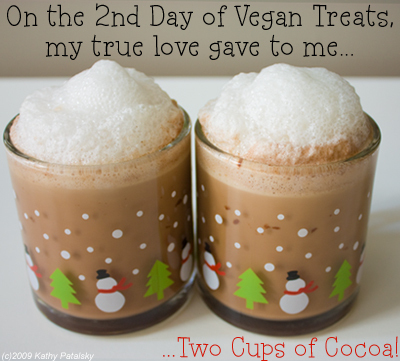 On the second day of Vegan Treats, my true love gave to me, Two Cups of Cocoa. *I like Soy Dream brand for beverage recipes. 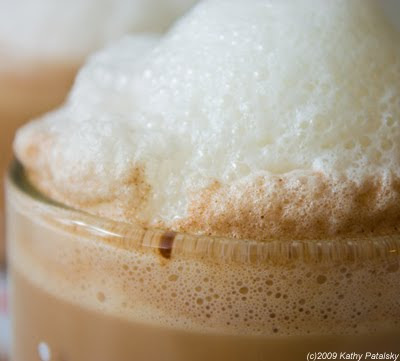 *note: higher cream ratio, creamier froth. 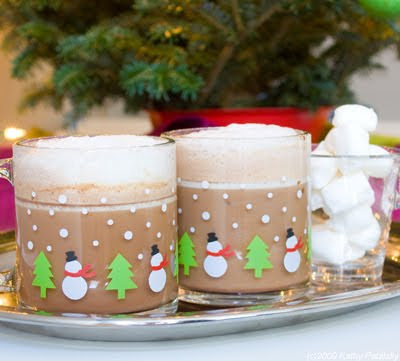 Optional: 1 shot of espresso or 1/4 cup of black coffee for a "mocha-cocoa"
2. 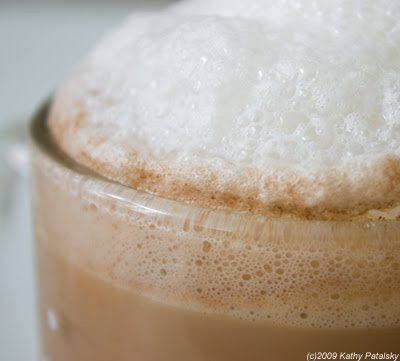 When the liquid is steaming hot, add in the cocoa powder-a little at a time while stirring briskly, to avoid clumps. 3. Stir in the sweetener and spices. 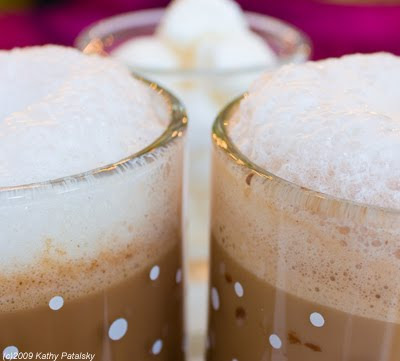 Add in a shot of espresso if you are making a mocha. 4. 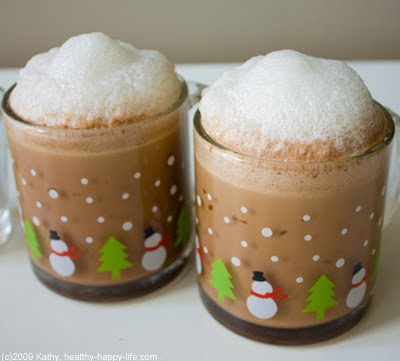 In a separate glass mug add the frothy foam ingredients. Heat to about 60 degrees in the microwave. About 40 seconds for my micro. 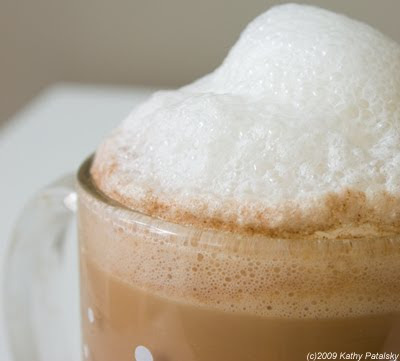 Using an aerolatte wand milk frother, froth the milk until it is nice and foamy. You can also use a steam-foamer or other kitchen gadget you may own. If you do not have a foamer, simply heat the milk and stir it very briskly for about 30 seconds. 5. 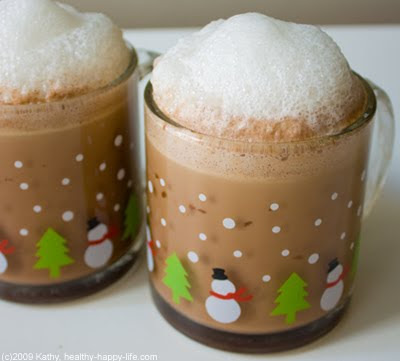 Add the foam to the top of the cocoa mugs. Fill to the brim with white foam. Add in vegan marshmallows or rice whip on top, as you desire. 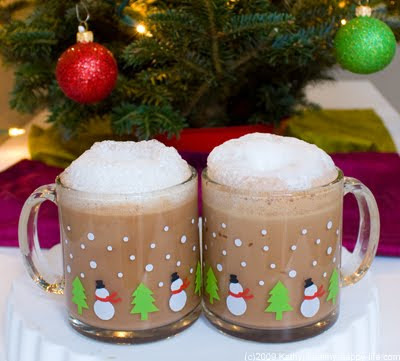 Serving Instructions: See above list of required locations, destinations, modifications, allocations, instructions and venue's for proper cocoa drinking for two. ...you can also serve this cocoa with the delicious cookie recipe that will be unveiled on the Fourth Day of Vegan Treats or even the yummy recipe awaiting you on tomorrow's Third Day of Vegan Treats...stay tuned!